A two Judge Bench of the Supreme Court today dismissed a Public Interest Litigation, seeking direction to declare Section 19 of the Prevention of Corruption Act, 1988 unconstitutional and to direct prosecution of all cases registered and investigated under the provisions of PC Act against the politicians, M.L.As, M.Ps and Government officials, without sanction as required under Section 19 of the PC Act. The PIL was filed by Manzoor Ali Khan, an Advocate practicing in Jammu and Kashmir. By dismissing the petition the Court held that the Parliament and the appropriate authority must consider restructuring Section 19 of the PC Act in such a manner as to make it consonant with reason, justice and fair play. The Petitioner argued that the provision for sanction as a condition precedent for prosecution is being used by the Government of India and the State Governments to protect dishonest and corrupt politicians and Government officials. The discretion to grant sanction has been misused. He also referred various Judgments of the Supreme Court where incumbents were indicted but not prosecuted for want of sanction. In Common Cause, a registered Society vs. Union of India & Ors. (1996) 6 SCC 593, Captain Satish Sharma, the then Minister for Petroleum and Natural Gas was held to have acted in arbitrary manner in allotting petrol pumps but since sanction was refused, he could not be prosecuted. In Shiv Sagar Tiwari vs. Union of India & Ors. (1996) 6 SCC 599, Smt. Shiela Kaul, the then Minister for Housing and Urban Development, Government of India was indicted for making arbitrary, mala fide and unconstitutional allotments but still she could not be prosecuted. In M.C. Mehta (Taj Corridor Scam) vs. Union of India & Ors., (2007) 1 SCC 110, Ms. Mayawati, the then Chief Minister of U.P. and Shri Nasimuddin Siddiqui, the then Minister for Environment, U.P. were indicted and allegations against them were noticed but they could not be prosecuted in the absence of sanction. (c) At the end of the extended period of time-limit, if no decision is taken, sanction will be deemed to have been granted to the proposal for prosecution, and the prosecuting agency or the private complainant will proceed to file the charge-sheet/complaint in the court to commence prosecution within 15 days of the expiry of the aforementioned time-limit.” “ Thus while it is not possible to hold that the requirement of sanction is unconstitutional, the competent authority has to take a decision on the issue of sanction expeditiously as already observed. A fine balance has to be maintained between need to protect a public servant against mala fide prosecution on the one hand and the object of upholding the probity in public life in prosecuting the public servant against whom prima facie material in support of allegation of corruption exists, on the other hand”. 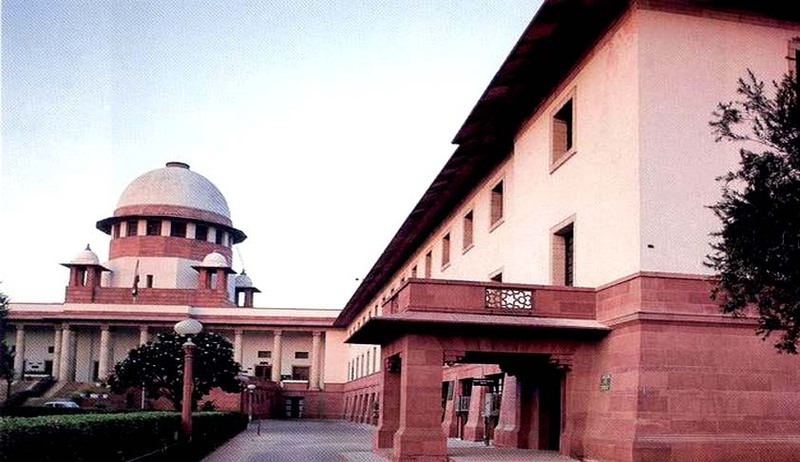 In May 2014, a Constitutional Bench of the Supreme Court quashed Section 6A of the Delhi Special Police Establishment Act, 1946. which mandates sanction before investigating officers of the rank of joint secretary and above. Last year a two Judge Bench held that a Magistrate cannot order investigation against a public servant in a corruption complaint if there is no sanction given by the government.